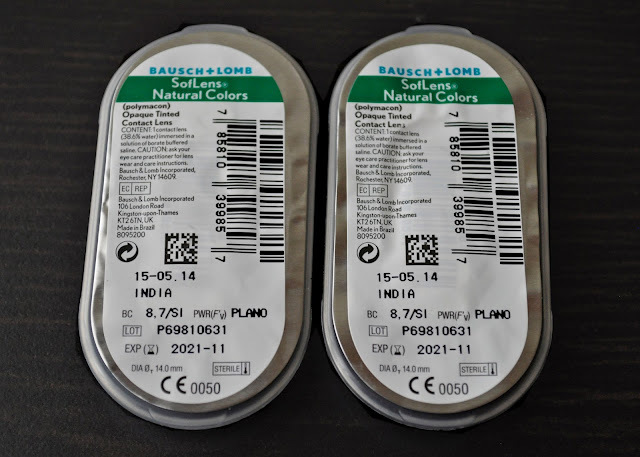 Bausch & Lomb's Soflens Natural Colors in India were a big ol' disappointment. I understand "colors look different online than in person, and colored contact results vary, based on the individuals eye color." But, shouldn't the product have a smidgen of likeness to its visual image? 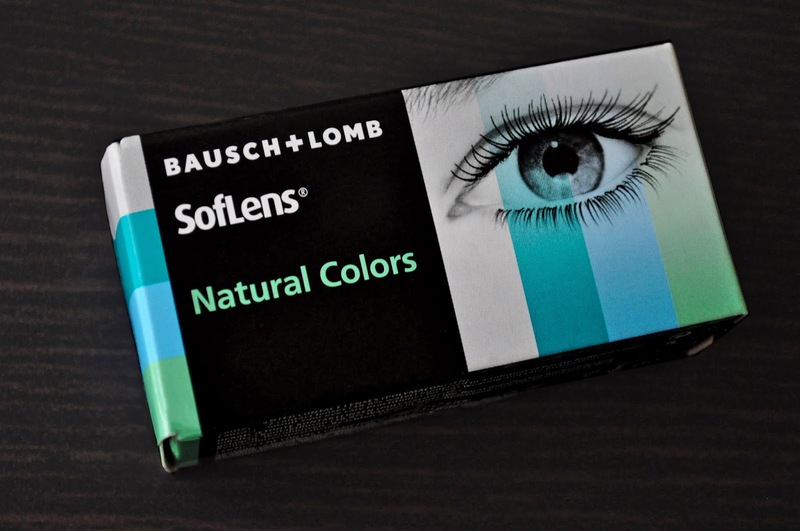 The Soflens Natural Colors are monthly colored-contacts, with a 8.7 base curve and 14.0 Diameter. 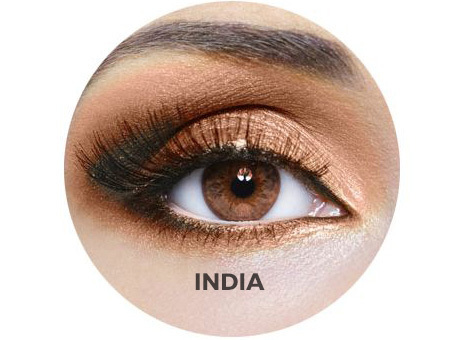 Comfortable to wear, they enlarge the eyes while still looking natural. Though the lens do cloud my vision from time to time. "Softlens Natural Colors Lenses are created for all eye colors, especially dark eyes." Did you read that, "especially dark eyes." Based on the image, I was expecting a color somewhere within the warm, chestnut brown spectrum. Yet, the effect I got is NOWHERE near resembling the photo provided by the company. I don't know what color you would call this? A warmish, muddy brown? Although, in person you can't really notice the color, I'm not mad at it, it's just not what I envisioned. I'll use the lens until they've expired, but I'm not sure I'll be repurchasing.